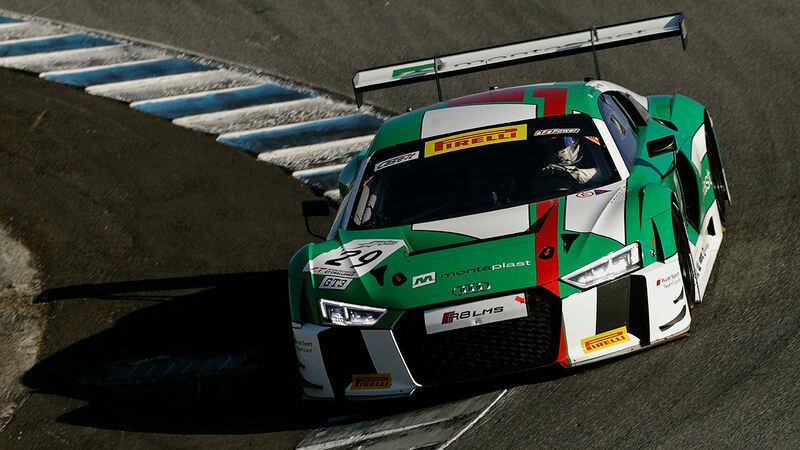 Christoper Haase, at the wheel of the #29 Audi Sport Team Land Audi R8 LMS, took pole position for the Laguna Seca Raceway California 8 Hours, the final round of the 23018 Intercontinental GT Challenge with a 1:23.660 in the final seconds of the 15-minute ‘Super Pole’ session. Lining up alongside Haase on the front row of the grid will be the #43 Mercedes-AMG Team Strakka Mercedes-AMG GT3 in which Raffaele Marciello put in a 1:23.728 on his final lap. Completing the top three was the #19 Audi Sport team WRT Audi with Dries Vanthoor lapping the 3.602 kms circuit in 1:23.763. 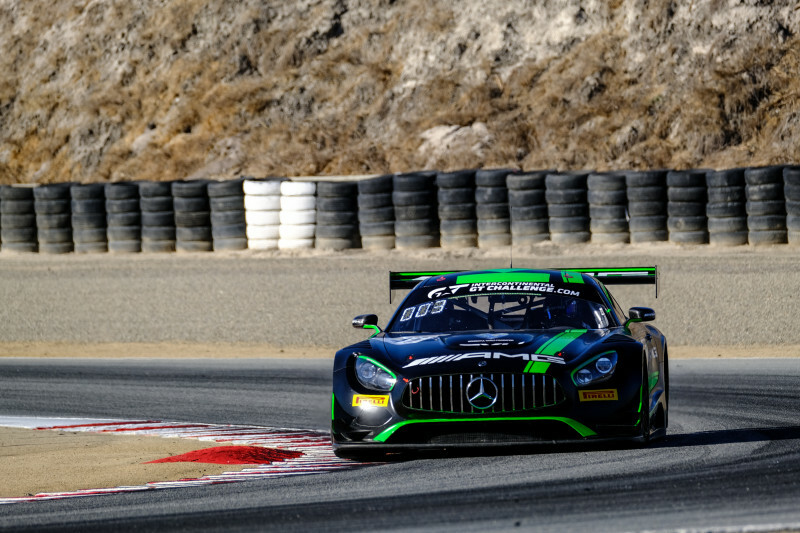 Taking pole position in the GT3 Pro-Am class was Luca Stolz in the #75 Sun Energy1 Racing Mercedes with a 1:23.841 set on his sixth and final lap. There was drama for Marciello on his second lap when, pushing hard into Turn 6, the Italian driver went wide into the gravel. Marciello returned to the pits for fresh rubber and was soon on the pace, setting the fastest lap of the session to that point on his fourth lap with a 1:23.832. 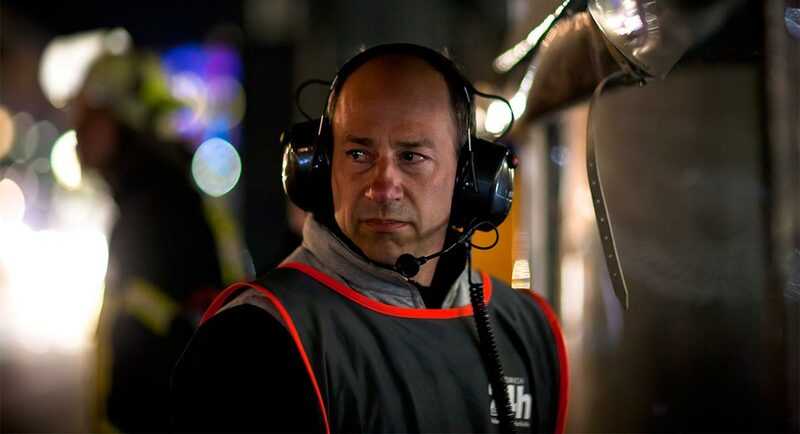 Team owner Wolfgang Land was delighted to have taken the pole position for the final round of the season. The lights go out for the start of the Laguna Seca California 8 Hours at 09:15 local time on Sunday October 28.